Free Outlook auto archive. Archive email according to a schedule. Use PST archive to cleanup the old data. Free tool for auto Outlook archive. Archive email according to a schedule. Archive Outlook data for free. Clean up old data. If you have a large amount of data in your Microsoft Outlook, the best way to increase it’s speed and performance is to archive email data. We offer a free tool for Microsoft Outlook auto archive as an alternative to AutoArchive that is a default Microsoft Outlook feature. In order to archive data using AutoArchive, Outlook must be running. 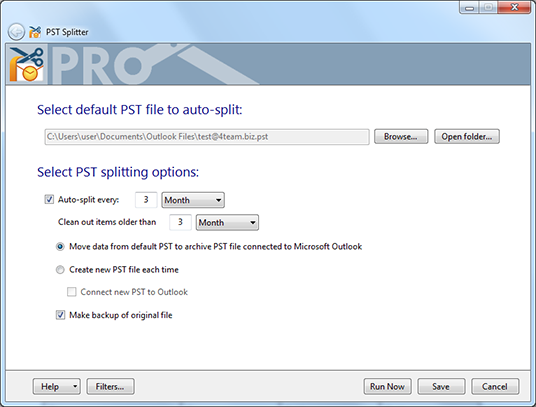 PST Splitter Free version splits Outlook PST files by selected date automatically regardless of whether Outlook is running or not. Archive email and all the other Outlook folders for free. Set up PST archiving once and it will be done in the background without you noticing. The Free version has two options to archive PST files. Choose if you want to move data to the same archive file each time, or create a new file for each archiving. The created PST files can be imported back to Outlook anytime or used on any other computer with Microsoft Outlook installed. Or you can open PST files with OST PST viewer tool, which helps you open, view and search in PST and OST files without Microsoft Outlook installed. Schedule automatic PST file archive by date. PST Splitter is a free and completely automatic PST archiving tool. The only thing you need to do is to set up Outlook data archive once and it will work automatically from that point. The criteria to archive PST files is a date. Select how often you want to archive your files. Choose from daily, weekly, monthly or yearly interval. Then select how old the items should be to be moved to the PST archive file. For example, schedule to run the Splitter every 3 months and archive items that are older than one month. There is no need to clean up data manually, it will be done automatically per your choice. 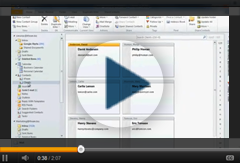 For splitting PST files by size, folder and accounts, purchase the PST Splitter Pro Edition. The Free version has two options to archive PST files. Choose if you want to move data to the same archive file each time, or create a new file for each archiving. The created PST files can be imported back to Outlook anytime or used on any other computer with Microsoft Outlook installed. Schedule automatic PST archive by date. PST Splitter is a free and completely automatic PST archiving tool. The only thing you need to do is to set up Outlook data archive once and it will work automatically from that point. The criteria to archive PST files is a date. Select how often you want to archive your files. Choose from daily, weekly, monthly or yearly interval. Then select how old the items should be to be moved to the PST file archive file. For example, schedule to run the Splitter every 3 months and archive items that are older than one month. There is no need to clean up data manually, it will be done automatically per your choice. For splitting PST files by size, folder and accounts, purchase the PST Splitter Pro Edition. Preserved integrity of Microsoft Outlook data. Microsoft Outlook data is completely safe with PST Splitter. Splitting PST files does not harm the data stored in it. The integrity of Outlook PST files and data is preserved. The new file generated after splitting is completely independent of the original and can be used on the same or any other computer. Outlook items stay the same and can be accessed at any time. If you have Microsoft Outlook synchronization set up, splitting a PST file will not affect it. If you choose to archive data to the same destination PST file every time, the items will not be considered as new after the split. This way no duplicates will be created during the synchronization process.